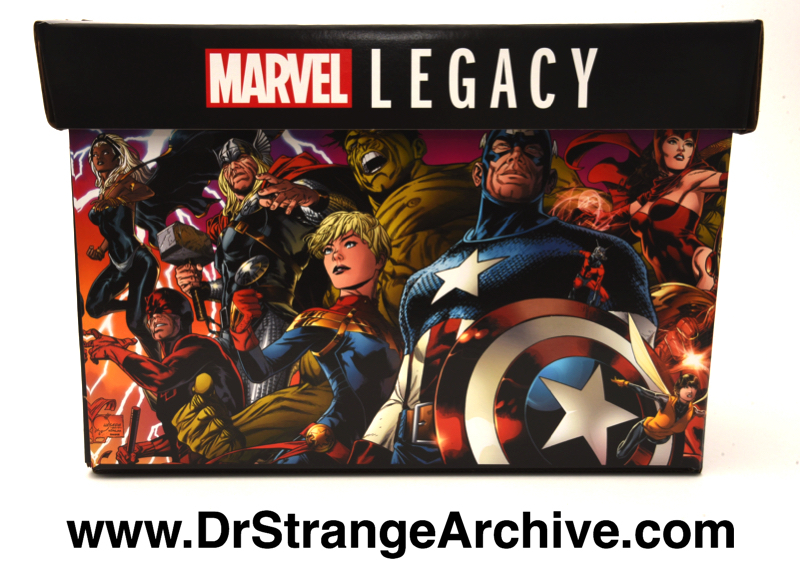 Description: This is a short comic book box with graphics from the Marvel Legacy event on the sides. Dr. Strange appears along with numerous other Marvel characters.